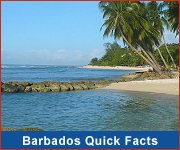 May is another great month to visit Barbados with nearly 9 hours of sunshine and strong cooling winds. This is the last month of the dry season so rainfall remains low in May. By June there will be more rain but temperatures will still be warm. The official hurricane season hasn't started yet. Be sure to pack all the essentials for a tropical holiday - sunblock, sunglasses and lots of beachwear! Remember to drink plenty of water throughout the day to keep hydrated. Gospelfest is one of the top events on the calendar during May. 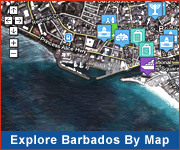 There's always lots going on in Barbados so stop by WhatsOnInBarbados before you visit the island. May is another lovely warm and sunny month on the island. Perfect for a Barbados beach holiday!